Motors Service and Supply supplies advanced paint and body shop materials to professional body shops and industrial companies around the central Wisconsin area. The PPG and Nexa Autocolor brand names helps our customers build stable, long-term success through the supply of innovative products, advanced management tools and an ethical, transparent business relationship. We support body shops and industrial companies with localized paint technician reps that will help develop a solution, with a fast response and the creation of strong mutual respect. Total Customer Satisfaction is our priority! On Hand Technical Support With Over 50 Years of Combined Painting Experience. Useful Tools to Help you Succeed in Your Business. Wide Range of Supplies and Equipment. 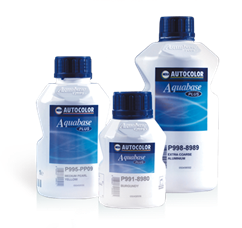 Built on the heritage of the world’s first waterborne basecoat introduced in 1992, the AQUABASE® Plus system incorporates further advancements to enhance its technical excellence and exceptional color capability. 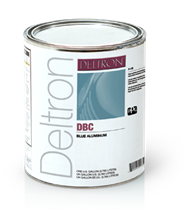 Known to be the best-selling refinish system in North America, the DELTRON® refinish system offers a track record of color excellence and process efficiency. The system provides a full range of easy-to-use products and solutions that covers every conceivable need from start to finish. Initially introduced in 1999 to meet low VOC legislation, the ENVIROBASE® High Performance system is now the leading premium waterborne paint system in North America. 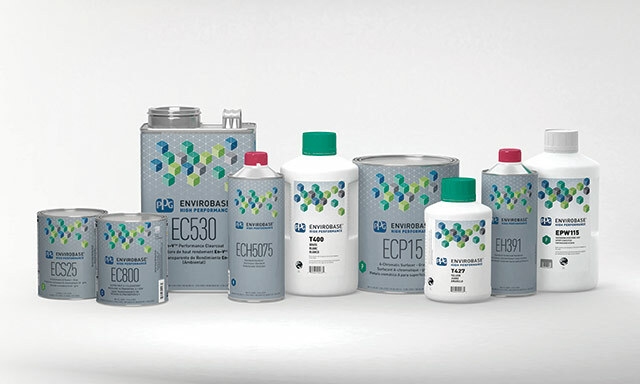 Delivering everything high-production collision centers need, the Envirobase High Performance waterborne system achieves outstanding color match for today’s OEM finishes and provides easy to use products for improved cycle times. 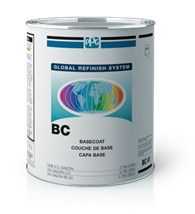 The GLOBAL REFINISH SYSTEM™ products were developed in Europe by PPG’s advanced coatings technology team to meet the demand for a high-performance, high-solids system that delivers superior color-matching for vehicles sold around the world. 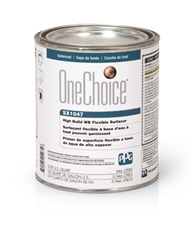 The ONECHOICE® universal ancillary brand of specialty products is designed to be used with any PPG automotive coatings system. It provides an “in-house” capability of refurbishing, allowing a shop to maintain or increase the level of services, while increasing a shop’s profit potential. Available exclusively from PPG Platinum Distributors, the SHOP-LINE® refinish system provides everything you need to perform efficient, quality and economical refinish repairs. 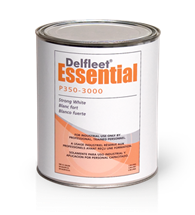 The DELFLEET ESSENTIAL® product portfolio is the value-minded solution for trucks and commercial vehicles. It helps meet your facility’s need for quick turnarounds with consistent quality at an affordable price. You don’t have to explain it to us. Hot rods and choppers. Fad-T buckets and daily drivers. If it moves, it move you. And just as you express that passion in a spray booth, we do the same in the chemistry lab. The VIBRANCE COLLECTION® custom finishes give you the latest colors, micas, pigments and special effects to bring your ideas to life. So, if it rolls, rumbles or roars, now the only limitation is your imagination.